Golf is back in town! Istanbul. Just the name itself stirs your imagination! As the capital city of 3 former empires, Istanbul has everything. A city of unmatched history, home to 15 million citizens plus, Istanbul is a true melting pot of sights, sounds, tastes, and cultures. 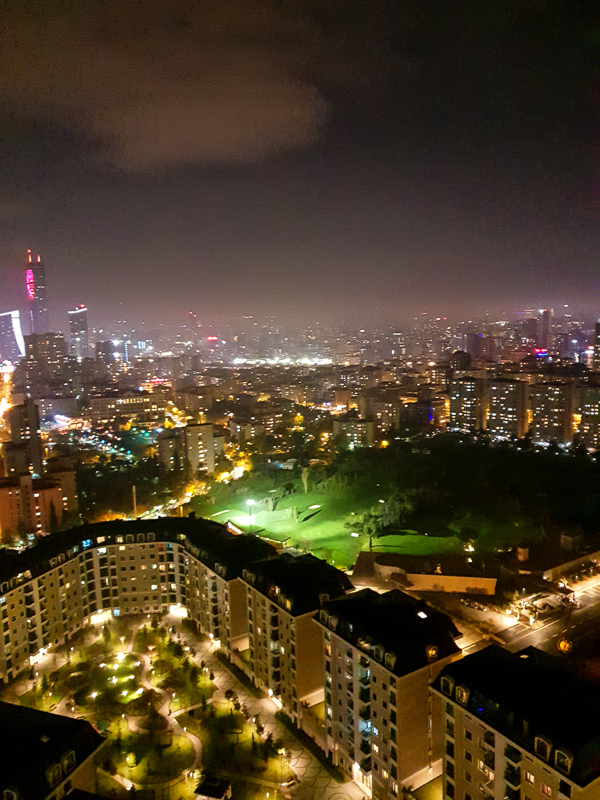 But, for everything that it has, what Istanbul doesn’t have is golf. We wanted to find out if it was possible to play golf in this illustrious city. Ataşehir Golf Club is a six-hole inner-city golf course located in the financial district of Ataşehir in Istanbul. 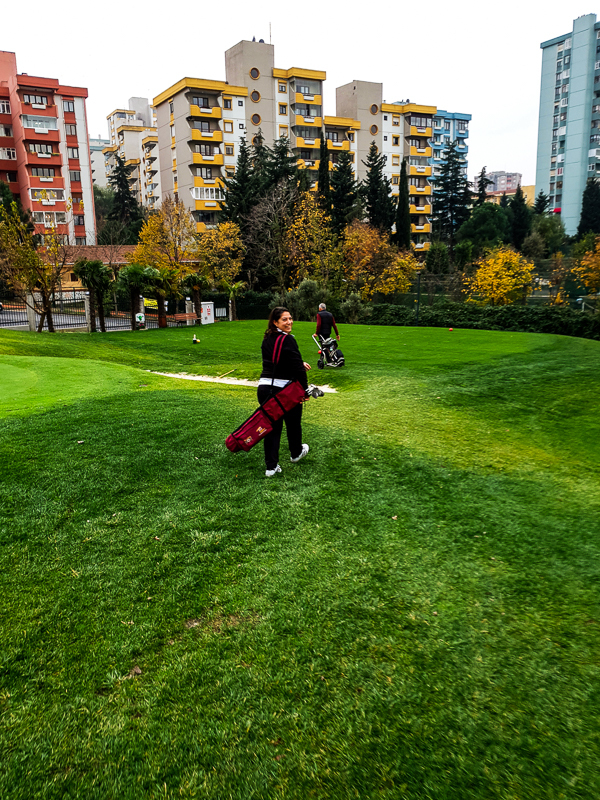 The club is headed by Selahattin Özdoğan, a long-time golfer and former captain of the Istanbul Golf Club. We had the opportunity to sit with Mr. Özdoğan to learn a little about the club. 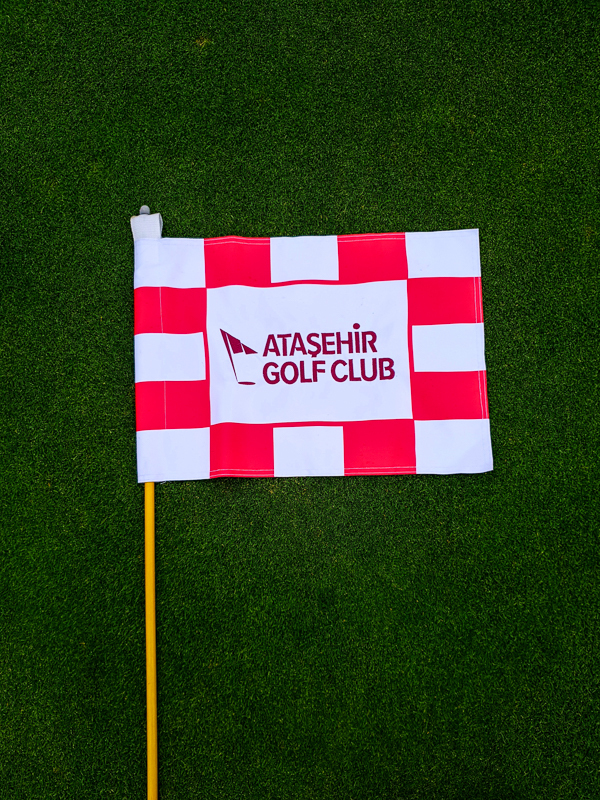 Ataşehir is a par 19 layout playing a mere 750 yards, or 690 meters. It has 5 par 3’s and 1 par 4 and only opened 9 months ago. 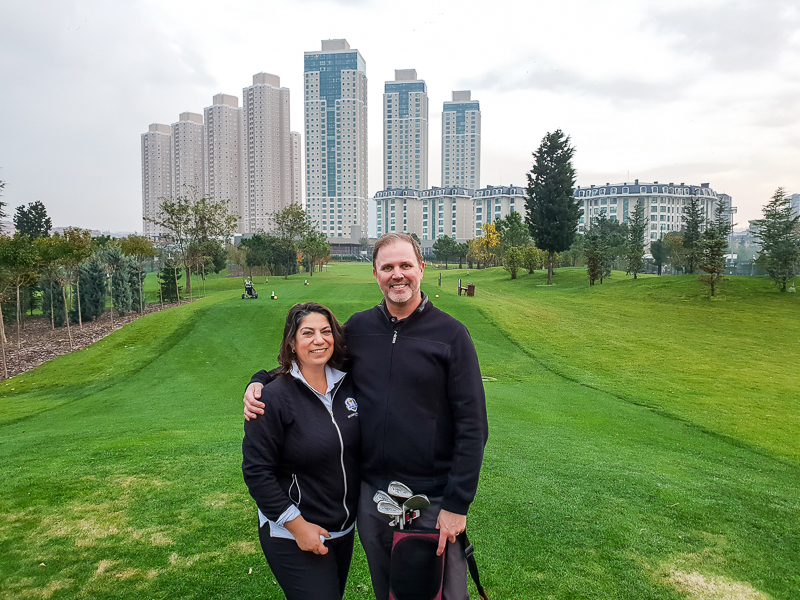 But the real story is what Ataşehir Golf Club is giving to this wonderful city- opportunity. 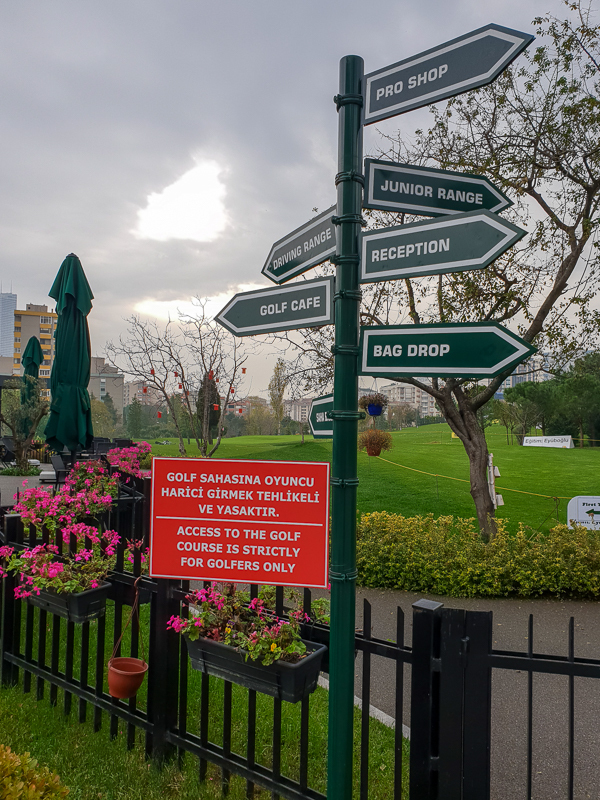 Despite being one the world’s most populous cities, Istanbul currently has only 2 18-hole golf courses, neither of which is located within the city. 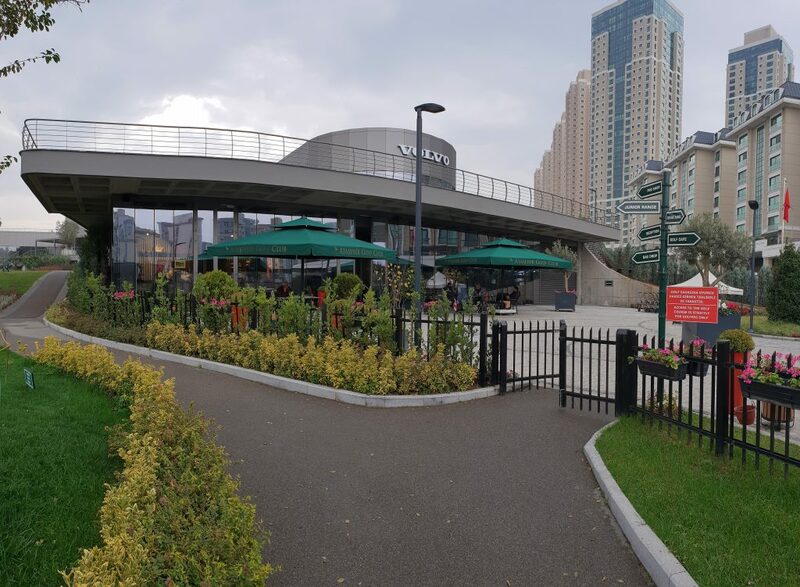 And this is what Ataşehir Golf Club aims to correct. 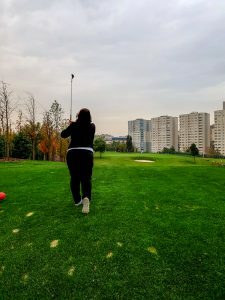 One of their stated goals is to make true the dream of “a golf course within the city” as well as to be easily accessible to anyone who wants to learn to play golf. Two goals that we both stand firmly behind. Completely surrounded by the towering high rises of the financial district, Menekse and I played the 6 holes in an hour. We were joined in our round by Mr. Bekir Şerbetçioğlu, the Club Secretary General of Istanbul Golf Club. While the holes aren’t long, there was a nice change in elevation that held both of our interests. 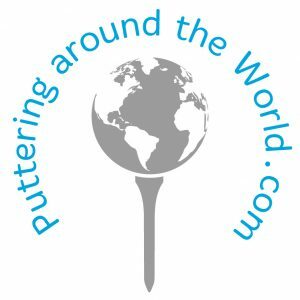 A nice touch is that none of the holes plays consecutively in the same direction, so you always have a new shot, with a new view. If I had one mulligan, I would take it on the par 4, fourth hole. With water short right, I took one too much club. I did sink a 15-footer or so to save par though. 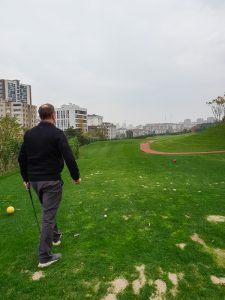 We have never played a 6-hole course before, but we both really enjoyed the experience. 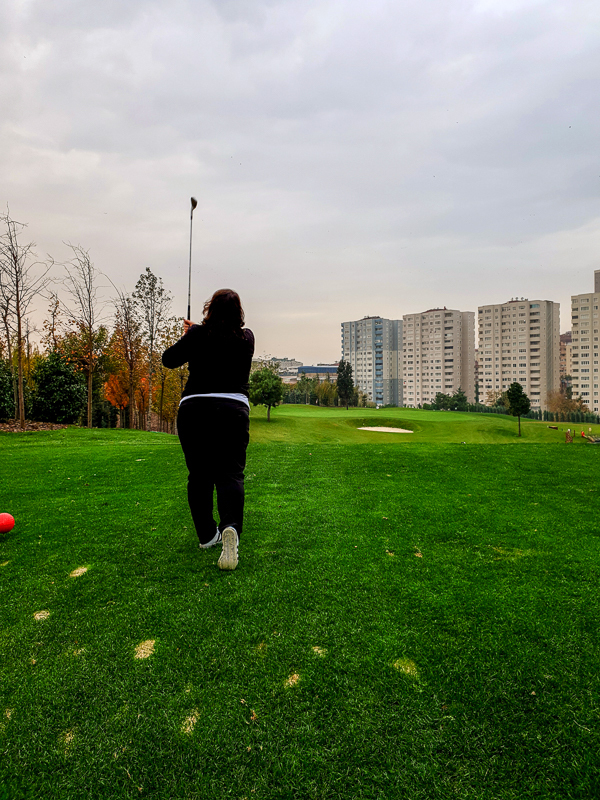 And honestly, if we truly want to be able to survive and to grow the game, golf needs more places like Ataşehir Golf Club. Especially in a city like Istanbul. Opportunity, right? !